Is It Safe To Deadlift? The Deadlift is an excellent exercise when performed correctly that has the potential for numerous strength benefits. Deadlifting is safe when performed well and is an essential component of any strengthening program, whether it is for sports performance, general strength training or elite powerlifting. However, like any exercise there are potential injury risks that we should address. This blog is targeted primarily towards novice gym-goers, people wanting to incorporate more strength training into their exercise regime and amateur athletes. When incorporated safely and timely, the Deadlift is a great exercise for the management of low back pain. When performed well, the Deadlift is primarily a concentric exercise for the hips (and to a lesser extent, the knees). The upper back and lower back act as stabilisers for the exercise when performed correctly. A common technique fault involves excessive contraction of the lumbar erector spinae muscles to drive the lift, rather than the legs. Quite often this is related to fatigue or lifting a weight greater than what the person is conditioned to. I am a big advocate for incorporating the Deadlift into rehabilitation programs for low back pain, particularly for people with less experience strength training, as it can be a useful learning tool to understand how your legs should be driving movement, particularly when lifting. If you're currently experiencing low back pain, whether it be an acute strain or an ongoing problem, be sure to discuss this in detail with your Physiotherapist prior to adding Deadlifts into your program. If you're already Deadlifting and find that it's aggravating your back, again, discuss with your Physiotherapist and we should be able to get to the bottom of it. The Deadlift is a dynamic movement involving a number of different muscles. 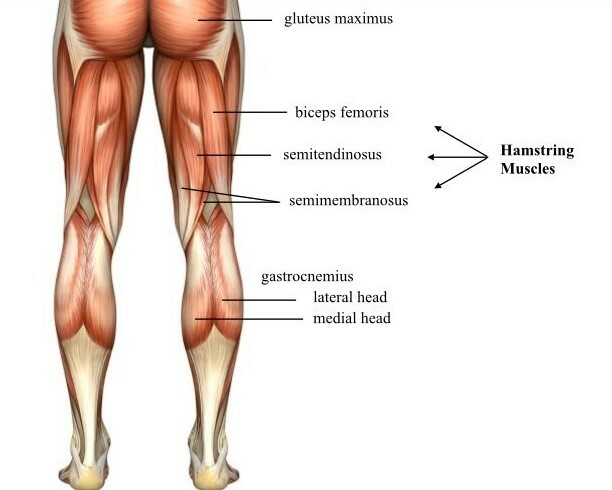 The primary drivers of movement are your gluteus maximus and your hamstrings. The abdominals, lower back muscles and adductors act as stabilising muscles for the movement and additionally grip strength and shoulder stability are required. Most importantly the Deadlift is a FUNCTIONAL movement. Training functional movements rather than muscles in isolation is always our preference. However, for some individuals it may take a bit of groundwork before getting there. Who Can Do A Deadlift? I’d be willing to go out and say just about anyone. Check out this video of a 78 year old lady, absolutely nailing a 225 pound lift. Of course there may be modifications that are required depending on your level of fitness, pre-existing injuries and joint mobility. If you’ve previously injured yourself Deadlifting, it’s important for us to determine why and address this before you start going at it again. In saying this, there quite likely are some people who are better off not Deadlifting. But this doesn’t mean you can’t do other strength exercises! There are several variations of the Dead Lift to accomodate for a lack of mobility in certain joints and to target different muscle groups. A few key points for the deadlift. Again, bear in mind that there are slight variations to this technique that can be adapted to accomodate to an individuals specific needs. Shoulders not locked in: The upper back muscles require stability to maintain a neutral position and adequate control of the movement. Overtraining: Allowing sufficient time for recovery is very important. Strength and powerlifting training generally involves training at relatively low intensities but high frequencies and volumes. This aims to develop adaptations towards increased strength but at the same time results in the accumulation of fatigue. If this fatigue is too excessive, injuries are more likely to occur (Strömbäck et al). Lifting too heavy: Deadlifting creates a large amount of torque at hips and low back. Poor technique due to excessive weight may create an imbalance in the distribution of load between these areas, quite commonly increasing load at the lumbar spine and increasing the risk of injury (Strömbäck et al). Spikes in training load: A recent study by Strömbäck et al demonstrates that injuries with weightlifting were strongly associated with excessive training load. High spikes in training intensity without adequate recovery are a risk factor for injury and should be avoided . A recent study by Gordon B et al found that resistance exercise training was associated with a significant reduction in depressive symptoms. This was regardless of whether the strength improvement was significant or not. Basically, get lifting and it'll keep you happy! With any form of exercise there are associated risks and benefits. Many patients seems to perceive a greater risk with dead lifting, however if your strengthening program is well tailored to you the benefits certainly outweigh the risks. Gordon, B. et al. Association of efficacy of resistance exercise training with depressive symptoms. Meta-analysis and meta-regression analysis of randomized clinical trials. JAMA Psychiatry. 2018; 75(6):566-576. Strömbäck, E. et al. Prevalence and Consequences of Injuries In Powerlifting. A Cross-sectional Study. The Orthopaedic Journal of Sports Medicine. 2018; 6(5): 1-9.